Can you find four numbers with a mean of 6 and a mode of 8? 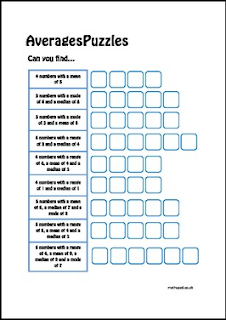 A series of puzzles that requires students to think backwards - if they know the average, can they find the numbers? "My Teddy Bear Math Mini Book"